As most of you know, Last Thursday I went to Nottingham for my eldest brothers graduation. We arrived on Thursday, the Graduation was on Friday and we left on Saturday. Unfortunately, or maybe fortunately due to the length of the ceremony and wopping heats, only two people could attend the graduation, which were of course my mum and dad, leaving me and my other brother (yes, I have two older brothers, feel sorry for me please) with a day to shop around Nottingham. I absolutely love Nottingham, both the shops and the town in general, it’s a lot nicer than Ipswich for definite. My parents let me and Harry lose with their credit card – that took real guts! Thankfully we’re nice children and used our own cards/money. I didn’t really buy as much as I wanted to, nor expected – most shops were full of the leftover sale stuff. 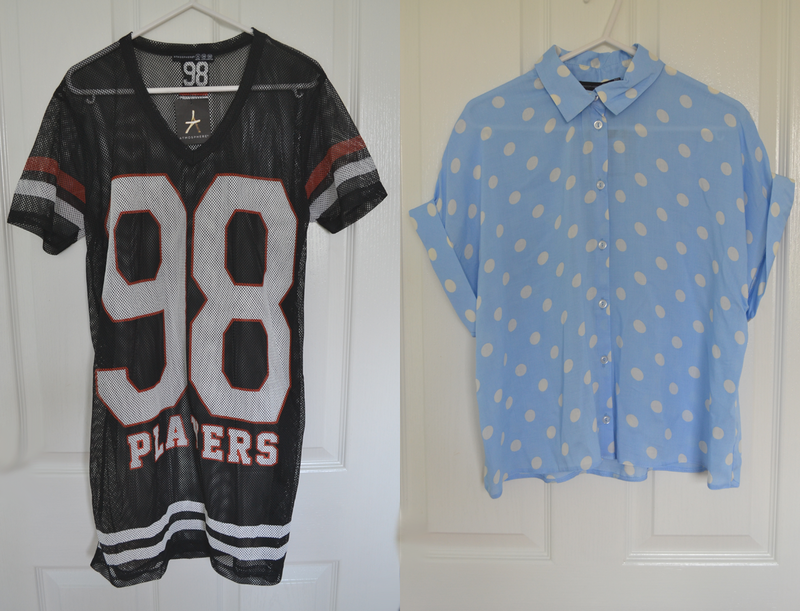 Although, the Primark up there is a lot bigger and better than the one I have in Ipswich, so I took advantage of that! This isn’t actually from Notts, I got it online when the Next sale began for half the original price. This is so me, cream and dainty! 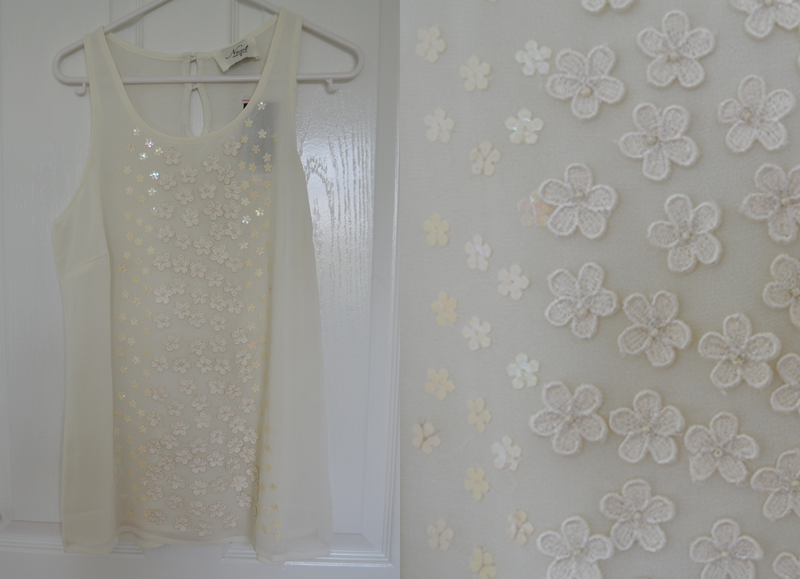 I loved these tops when they came in but at £28 I just couldn’t justify that price! I’m pretty sure this dress was fate. The dress was on one of those hangers that just have loads of random things on and it was the only one, and in my size. I love the colour, cream – of course! And the aztec print. 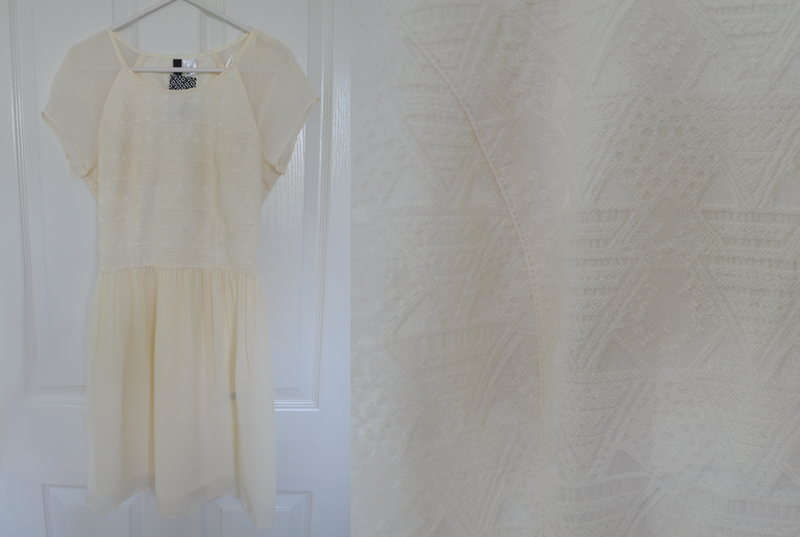 I’ve been after some new day dresses and this one is perfect and such a steal!! 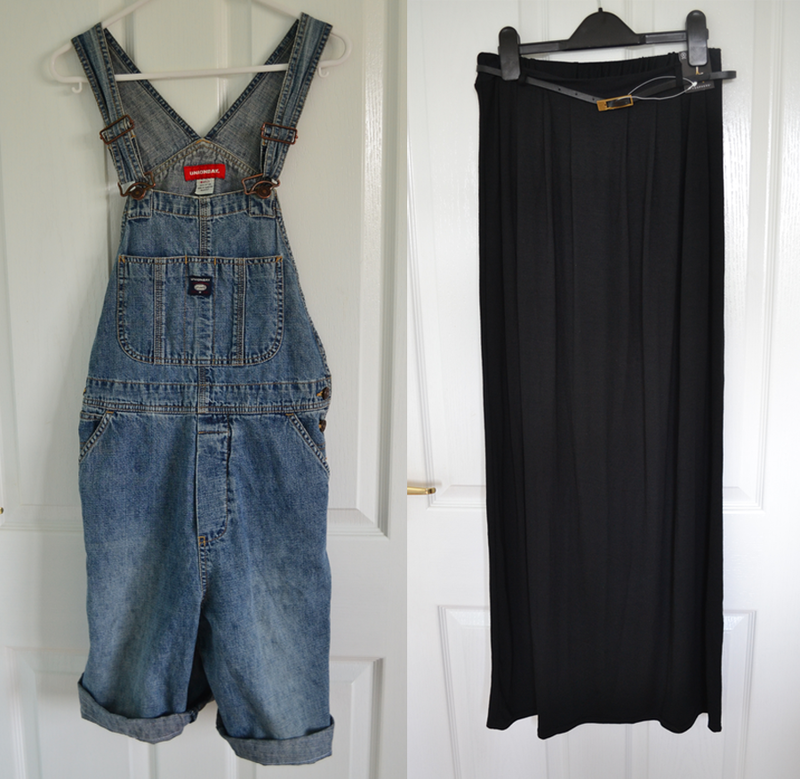 I’ve finally bagged myself a pair of vintage dungarees! I’ve been after some like these for agees, but just haven’t found any in shops in Ipswich. Thankfully Nottingham has a few second hand/vintage shops which had these beauties. They definitely need a few washes but they’re just what I’ve been looking for! I’m planning on un-doing the stictching, cutting off a bit more of the legs and rolling them up again because they’re still a little too long for my liking. The maxi skirt is just one of those holiday needs – it will be a nice thing to wear on a meal out in Lanzarote! A few weeks ago at Ipswich’s Music In The Park I saw so many people wearing these American styled tops and thought they looked so great as a more dressed down, casual, sporty look. I was going to ask my Nan to get me one of them while in America later this year but when I saw Primark were doing something very similar for jusy £6 I grabbed it straight away! I am loving this cropped polka dot shirt – I was after some plain tops with this shape but unfortunately this is the only one they have. I really can’t wait to wear this although I have no idea how to style it as my jeans are too much of a light wash.. can you guys help me out?! This is probably my favourite find. 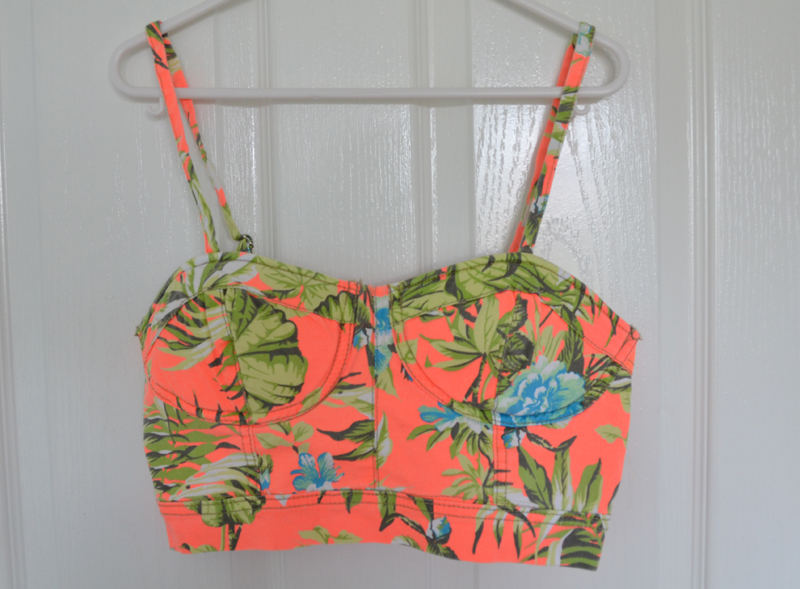 It’s in coral – my favourite colour and will go perfectly with my high waisted skirt. I love the tropical print and think it’s very similar to those found on high street brands like missguided (not actually on the highstreet, more online, but you catch my drift). I know they did matching trousers in this print, I just wish they had a skirt too because I love the two piece trend at the moment! What’s your favourite purchase of mine?